What are the Factors That Can Affect Your Auto Insurance Quotes ? We all know that the value of a car determines whether you’ll pay expensive or get cheap car insurance quotes. However, there are mistakes, which are to blame for your current high premium. Paying a high insurance premium can affect your ability to repay an auto loan installment on time. In order to determine the things that determine car insurance premiums you need to learn from experienced car owners and insurance experts such as Complete Auto Loans. Here are factors that can cause your insurance to either increase or decrease significantly. Did you know that supercharging your engine affects your auto insurance quotes? Auto insurance companies determine your monthly payments by assessing your credit score. Car owners who possess credit scores above 719 points receive cheap car insurance quotes because they have good payment histories. This indicates a high level of reliability in paying monthly installments on time. If your credit score is 500 or less, expect to pay costly auto insurance monthly payments. Your payment history accounts for 35 % of your credit rating. A poor credit score warns your auto insurance provider of your poor payment history. It’s no secret that a Range Rover owner pays higher auto insurance than a Honda Accord owner. When you sell your current car and upgrade to a high-end brand, you end up with a highly valued car. Auto insurance companies use your motor vehicle’s market value to determine your payment plan. So, upgrading to a better model causes your auto insurance to reassess your new car and increase your quotes promptly. An auto insurance score is a numerical figure that indicates your probability of filing for claims. It’s also an indicator of your history with previous auto insurance providers. It uses a similar rating system as credit score ranking. A driver with a score of 500 or less pays expensive premiums because their poor score indicates trouble. 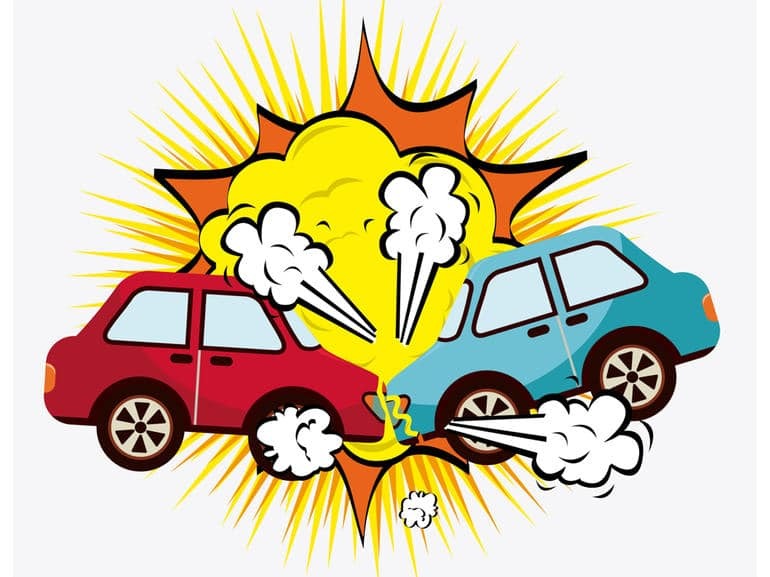 Whom you add to your insurance plan has a direct impact on your auto insurance score. Adding someone who has a long history of causing car accidents plus a poor credit rating will affect your monthly payments. A responsible driver saves the insurance company a lot of money. Auto insurance companies reward responsible car drivers with cheap car insurance quotes. Why? Because auto insurance companies lose money whenever compensating clients and third parties. Did you know that auto insurance companies can view your driving history for the past five years by simply downloading your driving report from the DMV? Anytime you get a ticket for traffic violations, it appears in your driving history. When a judge suspends or revokes your license, it leaves a bad stain on your driving report. Auto insurance companies download your driving report every year to determine the following year’s quotes. If you accumulated many tickets, expect to pay higher quotes in the following year. When you play according to your auto insurer rules, you pay low car insurance quotes. Auto insurance companies are quick to punish non-compliant car owners with expensive plans. One of the biggest ways you can affect your current auto plan is by relocating to a neighborhood reputed for car burglaries and auto theft. Past and recent statistics prove that relocating to a highly unsafe neighborhood increases your chances of filing for compensation. Even if you go to great lengths in reinforcing your home garage or upgrading your car alarm, your auto insurance company will punish you with expensive quotes. It’s illegal to own a car and not have an auto insurance cover. Your auto insurance score shows your history with previous auto insurance providers. Anytime, you approach a new auto insurance provider, they download your driving report from the DMV. If within the past five years, you drove your car without having an auto insurance cover for at least 30 consecutive days, you qualify for an expensive plan. Terminating an auto insurance coverage without a good reason directly affects your auto insurance score. Just like credit scores, a poor auto insurance rating subjects you to unfavorable monthly payment installments. What happens when you upgrade your car’s engine by installing a powerful Nitrous Oxide kit just so you can speed like Vin Diesel in Fast and the Furious? First, you’ll probably need a second job because you’ll have spent all your money and savings to buy a NoS kit. Second, you’ll need to relocate because your neighbors will report you for rampant noise pollution. But, since we’re interested in auto insurance quotes, supercharging your engine will definitely increase your quotes. Truth is, auto insurance companies discourage risky driving. Installing a NoS kit enables your car to attain speeds beyond the auto manufacturer’s recommended range. At this speed, you’re more likely to cause an accident. So, you end up paying expensive motor insurance quotes as a punishment. Most car accidents happen at night mainly due to poor visibility. That’s why auto insurance companies charge expensive quotes for night time drivers. Apart from poor visibility, you’re also likely to encounter intoxicated drivers who are heading home after having a few alcoholic beverages with workmates. Your auto insurance company can tell whether you’re a day or nighttime driver by downloading data from your car’s blackbox. If you don’t have one, they can request information from your GPS tracking company. Now that you know about these 8 Factors That Can Affect Your Auto Insurance Quotes, take time to correct your mistakes. For instance, start saving up so that you can relocate to a safer neighborhood in order to lower your current auto insurance payments. Don’t install that NoS kit because you won’t like your new insurance plan.